This “Behind the Paper” piece is partly a reflection on the work that went into producing our article (“Gut microbiome composition is associated with spatial structuring and social interactions in semi-feral Welsh Mountain ponies”), and partly a reflection on becoming a new PI, which was my experience during the lifetime of this output. The samples for this paper were collected back in 2014 when I was in the final months of my PhD write up, as part of Jess Lea’s PhD project on equid population ecology, social networks and physiology. At time we had no idea that would be studying the microbiome from these samples a couple of years later. 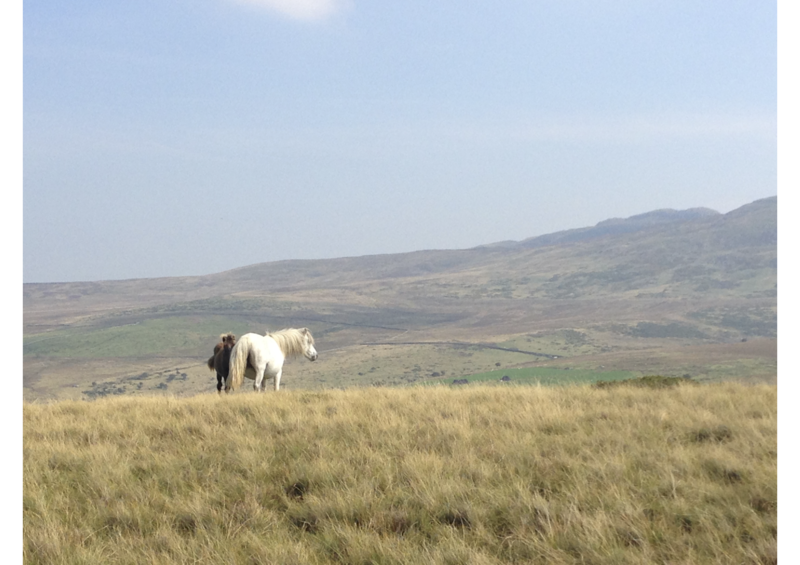 I’m a big fan of writing from home and in the summer of 2014, I’d hadn’t left the house, or in fact been out of my pyjamas, for quite a while, so I decided to join Jess Lea for some pony field work in Snowdonia National Park. It was a ridiculously windy day and it was just what I needed - I could barely hear myself think - welcome relief after months of internalised pontification about bacteria on the skin of frogs. I was also happy to be looking into the distance for a change, rather than at a screen 6 inches from my face. I joined Jess a few more times, collecting more samples and photographing ponies in the Carneddau, because I enjoyed being outdoors and doing something unrelated to my own work. 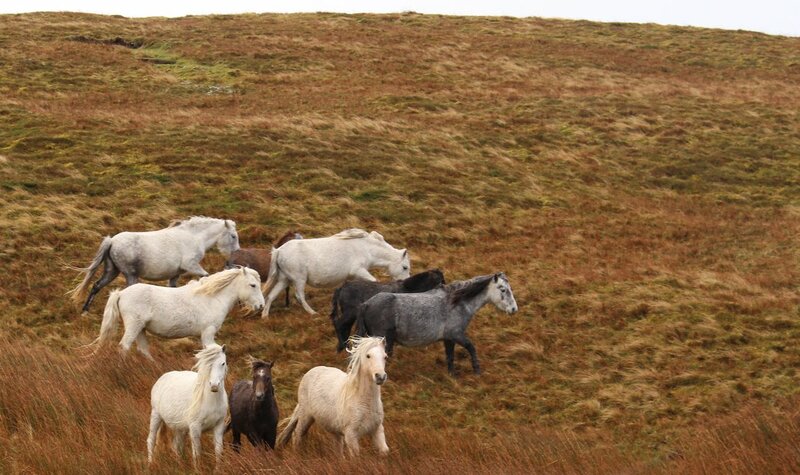 The ponies are very lightly managed: they are rounded up once a year for a health check but are otherwise left to roam across the Aber and Llanfarifechan common that covers much of the Carneddau mountains in Snowdonia. That October I completed my PhD and flew to South Africa to start a postdoctoral research fellowship at North-West University. Less than a year later, I was (somewhat unexpectedly) back in north-west England and starting a lectureship at the University of Salford. The application, interview and relocation back to the UK had all happened within a month, and after being shown to my office on my first day at Salford, the silence descended and I thought to myself, “ah cr*p, what now?!”. I had to develop my own research programmes, and critically, find my own funding. In these early months of my lectureship, the phrase “diversify or die” was constantly at the forefront of my mind. Between this and “publish or perish”, there was hardly a moments peace! Although the field of amphibian skin microbiomes has been attracting a lot of attention for their role in protecting hosts from the highly infectious Batrachochytrium fungal pathogens, funding streams in the UK for this area are somewhat limited. In the fields of ecology and conservation, mammals by and large, receive greater attention. I was lucky to be back down the road from my alma mater, and my existing network provided a shoe-in to build a track record in an area outside frogs. Although we were friends, Susanne Shultz and I had not worked together before, and these samples were a good opportunity to bring together our seemingly disparate fields of microbial ecology (me) and evolutionary biology (Susanne). Relationships between social networks or population structure and microbiomes seemed conceptually possible, but the project was a bit of a leap into the unknown for both of us. Luckily, I had also been gifted a superb Masters student, Bryony Unwin, which made the whole process a lot easier. In this paper, we show that microbiome composition is structured at multiple levels within populations of social mammals and thus, may form a unit on which natural selection can act. We also show that particular social interactions (i.e. mother-offspring, and stallion-mare) lead to convergence in microbiome composition. I’m sure there’s some parallels to be drawn here about social networks of wild ponies and social networks of academics, although I’m not sure if anyone is working on the converging microbiomes of collaborating scientists! Academia is structured at multiple levels, it is a highly competitive environment, and it can be particularly difficult for women. Being successful is hard, but solid social networks are key. I am lucky to have old comrades just down the road, although I’m alright with our microbiomes not converging!